Home > Business > Should Korea embrace Bitcoin? 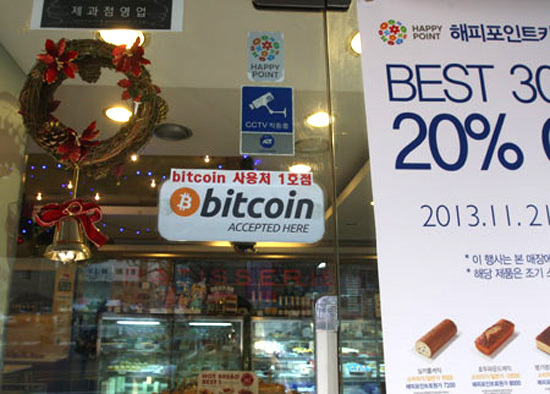 Koreans are showing growing interest in Bitcoin since a bakery shop in Incheon started accepting the virtual money, just like cash and credit cards, on Nov. 1. The bakery shop is the first ㅡ and as of yet only ㅡ store in Korea for Bitcoin users, but the currency is already being increasingly used in stores and online shopping malls worldwide. Koreans can trade Bitcoin in an online exchange market named Korbit, which was established in April. The volume of transactions there is still much lower than those in other countries because using the currency is still considered a joke by many Koreans. However, more shops here may accept Bitcoin as a means of payment because its transaction fees are lower than credit cards. The local stock market is already in the grip of Bitcoin fever. The stock prices of some computer equipment manufacturers have soared for the past few weeks on rumors that their sales will jump if Bitcoin becomes popular here. For example, JC Hyun System has seen its share price more than double since late November just because one of its subsidiaries is a business partner for a Taiwanese firm that produces computer main boards tailored for Bitcoin transactions. The price of 1 Bitcoin on the Korbit market has surged to over 1,200,000 won from 100,000 won in April in line with soaring global prices. Early this year, Bitcoin was traded at $13.50 in the U.S., but its value has jumped to over $1,000, prompting debate about its safety as an alternative payment method and the bubble created by reckless investments by individuals. 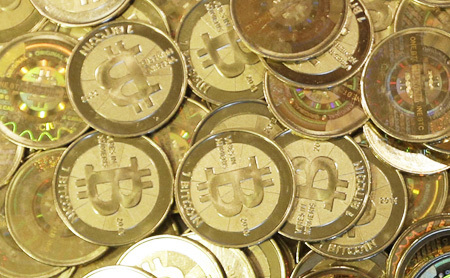 The Bank of Korea (BOK) is now in a dilemma over the virtual currency. During a National Assembly audit session in October, BOK Senior Deputy Governor Park Won-shik said the bank won’t recognize Bitcoin as a legitimate currency. “The coin cannot be acceptable in Korea due to its price volatility and risks it poses. It cannot be an alternative currency,” Park said, after being asked by a lawmaker about BOK’s views on Bitcoin. That’s in stark contrast to the U.S. Federal Reserve’s positive comments about Bitcoin. In October, the world’s first Bitcoin ATM was set up in Vancouver, Canada ㅡ the machine allows users to exchange Bitcoins for cash and vice-versa. China has actively embraced the currency. It now has the largest transaction market in the world. 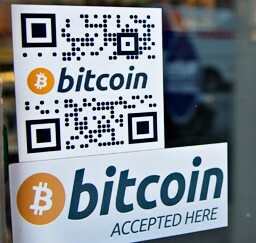 Baidu, one of the country’s largest Internet firms, has allowed its users to pay for its services with Bitcoin. Against this backdrop, BOK appears to be softening its stance on Bitcoin.